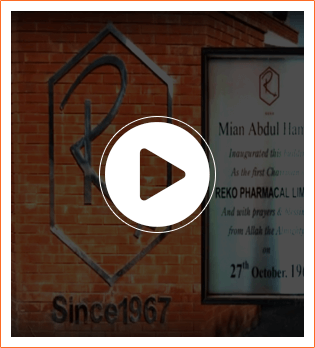 Reko was established in 1967 by Mian Khalid Mansur, the first ever Pakistani to attain a Master’s degree in Industrial Pharmacy. In the past 50 years, Reko has transitioned into an esteemed and well-credentialed enterprise and is recognized amongst the most prominent organizations in its respective genre. Reko Pharmacal spans over 90,000 square feet in periphery. It produces over a hundred molecules and is responsible for creating over 400 jobs in the workforce. Reko attained ISO 9001-2008 certification in 2002 based on its supreme standards of quality control and customer care. Our firm operates across Pakistan and strives towards constant improvement. We aim to provide our consumers with wholesome, high quality and life-changing medication. Our success depends on maintaining a highly competent and avant-garde Research & Development function. We are constantly working to translate advanced science and technologies into quality healthcare products. For this reason, we have established a highly integrated Research & Development team that is constantly in sync with global pharmaceutical advancements and discovering new ways of treating and preventing diseases to meet customer needs. By combining the diversified talents of our R & D employees with leading edge science resources, we are dedicated to bring diversified medicines for patients. We aspire to share the success of our operations with the local community. Our CSR initiatives revolve around undertaking actions aimed at protecting and improving the welfare of society in an ethical manner. By forming strategic collaborations with non-profit organizations, we have been actively undertaking philanthropic ventures thereby contributing towards community consciousness. 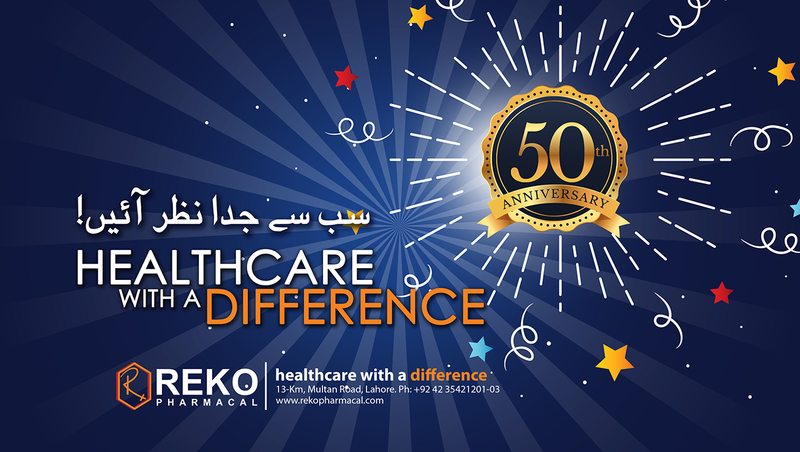 Reko has formed alliances with healthcare institutions where Community Healthcare is focused upon by providing patients with free consultation services and free medicines. Moreover, lectures and workshops are conducted focusing on a wide variety of social and healthcare concerns, which are meant to educate and enable our community to lead fuller and healthier lives. We have also developed anenvironment preservation strategy, which primarily focuses on waste management and land/forest preserving. Reko strives to help address and maintain a sustainable environment. We understand that any impression on the environment, customers, is therefore our responsibility. We have a system devised that reflects the highest standard of corporate governance and a high degree of commitment towards corporate citizenship. The world is transforming into a global village and it is imperative for dynamic organizations to work in collaboration with each other. We believe that such partnerships will further reinforce our operations and provide us with a competitive advantage as well. Hence, we have developed strong liaisons with multinationals and national companies both, which has further expanded our product portfolio. Kindly contact our Export Business Team if you are interested in building a partnership with us.